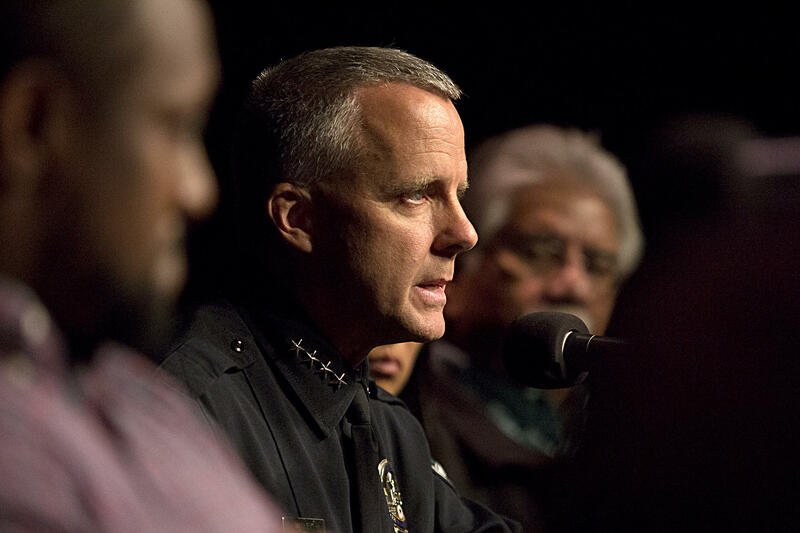 Interim Austin Police Chief Brian Manley called the Austin serial bomber a "domestic terrorist" at a panel hosted by KUT this morning. Despite previous calls from the community after a string of bombings killed 39-year-old Stephan House and 17-year-old Draylen Mason, Manley hadn't used the term. At the panel, he said he’s now “very comfortable” calling Mark Conditt a terrorist. 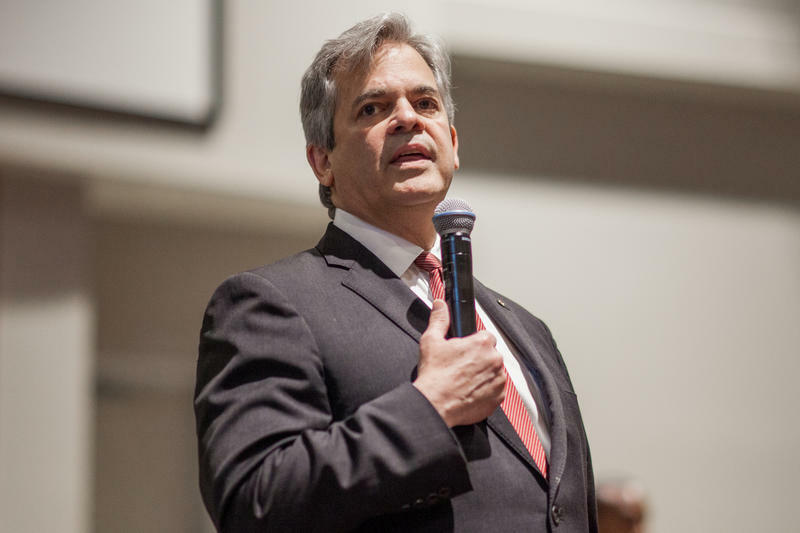 “I actually agree now that he was a domestic terrorist for what he did to us,” Manley said to the crowd gathered at the George Washington Carver Museum in East Austin for a discussion about the bombings’ impact on communities of color. 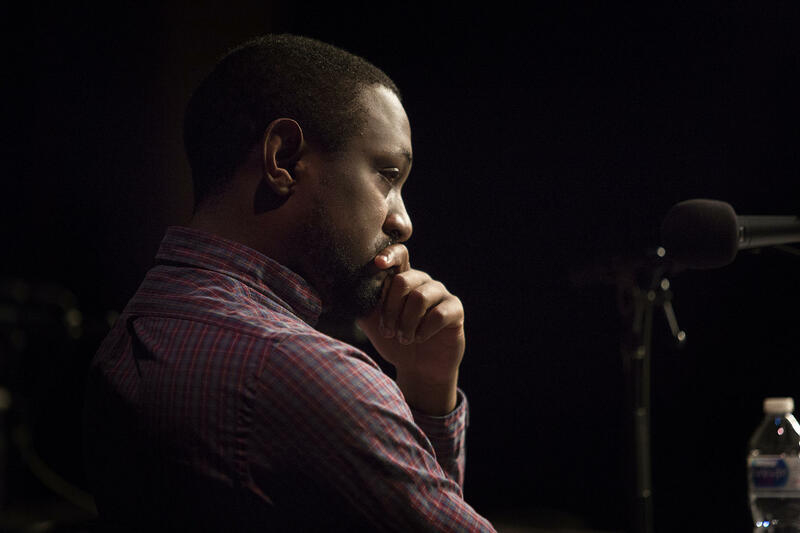 While the city and the Austin Police Department have made efforts to bridge equity gaps, Chas Moore of the Austin Justice Coalition says Austin still has a long way to go to becoming an "anti-racist" city. At a press conference after the bomber's death, Manley called him a “challenged young man,” sparking widespread criticism. Manley today said he hadn't called Conditt a domestic terrorist because the term has a legal definition and he is not a prosecutor. “Knowing that it might end up in a legal system at some point, I was being very specific on legal definitions that exist under federal law,” Manley said. In the past week, he said, he’s had time to focus less on the day-to-day investigation and more on the effect the three-week string of bombings has had on Austin. Chas Moore of the Austin Justice Coalition said he believes the bomber was treated differently because of his race. That perceived racial insensitivity was also present in the early stages of the investigation. Manley and the Austin Police Department were criticized for their initial handling of House's death. APD first thought it was connected to a drug raid down the street from his home on Haverford Drive. His death was later reclassified as “suspicious” and investigators suggested House may have crafted and set off the bomb himself. It was only after the second and third bombings that authorities began to suspect the possibility of a political or hate-related motive. Gilbert Rivera (right) says racial inequity is part of Austin's DNA, something highlighted by the string of bombings this month. Panelist Gilbert Rivera, a longtime East Austin activist, said he always considered the bomber a domestic terrorist. He said the national spotlight the bombings brought to Austin’s racial divisions doesn't start and end with this case. 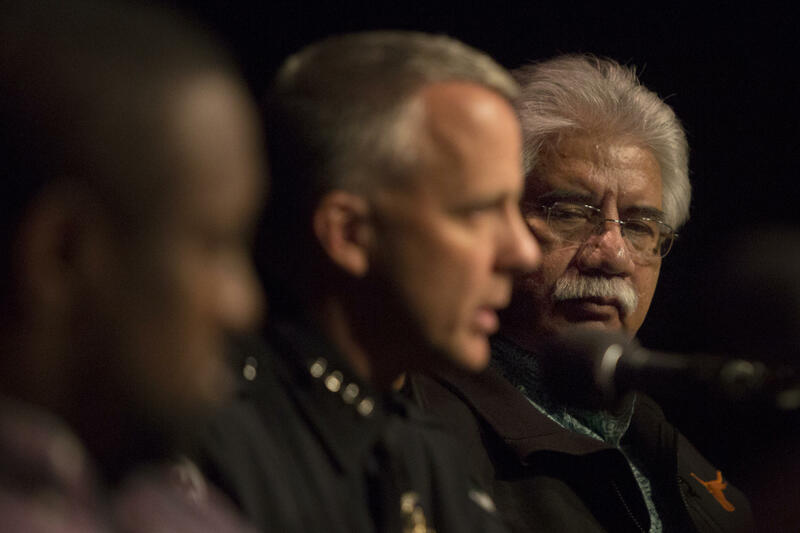 APD has a long history of inequitable treatment of minorities, he said, citing his own experience of being beaten by Austin police officers in 1972 and the fatal police shooting of 17-year-old David Joseph in 2016. Manley said it’s important for citizens and police to recognize that past, adding that the police department was spurred by Moore and the Austin Justice Coalition to implement measures like training to emphasize de-escalation and recognize officers’ implicit biases. Moore said the problem is more systemic than police training and mindfulness. While Austin may view itself as a progressive bulwark, it’s the only major city with a shrinking black population. Longtime residents of the East Side have been priced out of their homes as moneyed developers move in. 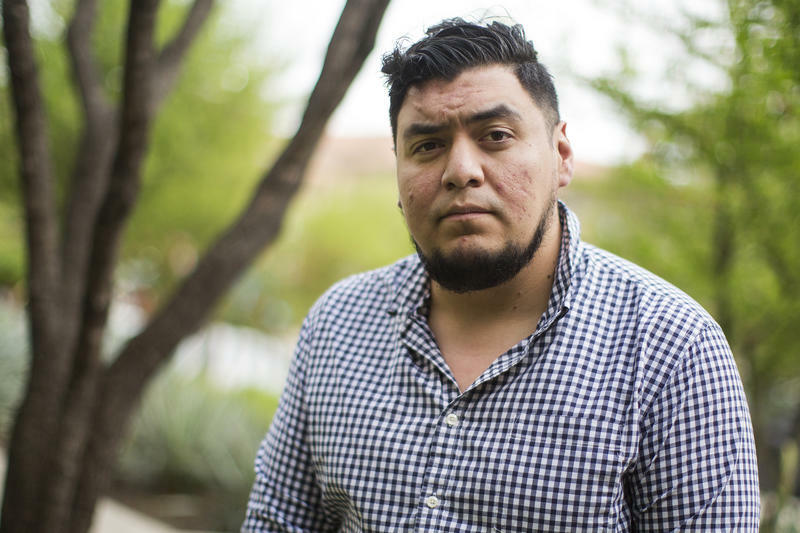 That fact often makes white Austinites uncomfortable, Moore said, but uncomfortable conversations about privilege and bias in Austin are integral to addressing inequity. “To really become an anti-racist city, that’s going to take some really deep soul-searching," he said, "and I don’t know if we’re there yet."